Walking is a perfect component of any fitness routine. It is easy to do for all fitness levels, and because it is less jarring on the joints than jogging, walking results in relatively few injuries. Step up your walking exercise with power walking. Picking up the pace means more calories burned, a stronger heart and healthier body weight. Here is how to get started. 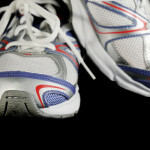 Although power walking does not stress your joints as much as running or jogging can, good shoes are still important. Your local running store can offer advice. If you choose on your own, be sure to look for shoes with adequate cushioning and flexibility. There should also be some space between your longest toe and the shoe toe box. If possible, try on several pair and walk around a bit before buying. Power walking is different from the way you normally walk. The biggest difference is in speed. Power walkers cover 4.5 to 5 miles per hour. Expect to build up to that pace with time. Start where you are by timing how fast you can complete a mile. 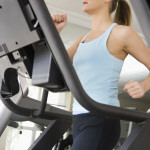 Use a treadmill or track to determine your current speed. If you are doing a mile in 20 minutes now, that comes to about 3 mph. Finishing a mile in 30 minutes means you covered about 2 mph. Don’t worry about how fast you are right now. Just begin with a goal of building speed and endurance. Walk 3 or 4 times each week and with time you won’t be just walking, you will be power walking. Be persistent and patient with your progress. While you are building endurance for power walking, consider adding some intervals. For example, you can start at a 2mph pace and step it up to 3mph for about 30 seconds every other minute. Experiment with different interval lengths to find what works and feels best for you. 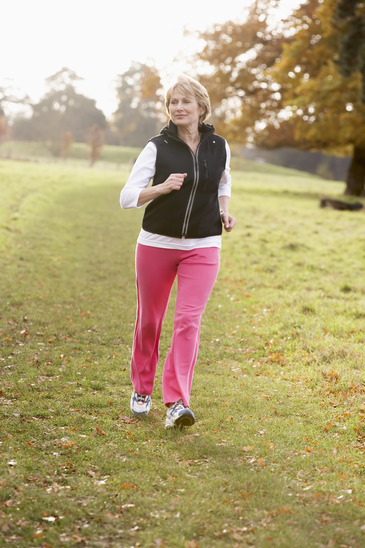 As you become more comfortable with power walking, you can add more time to your workout. It is recommended that you add no more than 10% each week. That means if you do three 30 minute walks one week for a total of 90 minutes, your walk total should not exceed 99 minutes in the second week. Building slowly gives your body time to adapt and reduces sidelining injuries. As you walk keep, your glutes and abs tight. You should also keep your head up and your arms at a 90 degree angle. With each step, land on your heels and allow the foot to roll forward to the ball and finally the toes. Shorter strides are more efficient than longer ones and use less energy too. Form is important but don’t let worries about getting it right keep you on the sidelines. Just start. Keep your back straight and walk like you are in a hurry. Why not start with a ten minute walk today? There is no time like the present.